Above all else, the goal of the Greenway Trust is to make sure this place we call home never loses what makes it so special: towering forests, clean-flowing rivers, spectacular parks, and vibrant communities filled with people who are deeply connected to the lands around them. 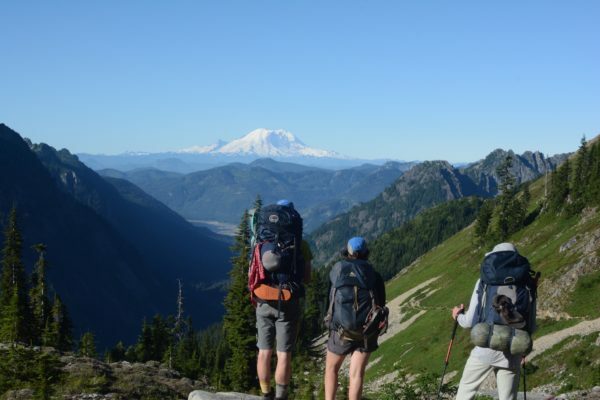 Together, we can ensure the Mountains to Sound Greenway continues in perpetuity as a vital part of the Puget Sound community – as a place where nature is never far from where we live and work, and where we protect the land as an essential aspect of who we are. Some donors have chosen to make the Greenway a part of their personal legacy through planned giving. Planned gifts can bring an assortment of tax benefits or income to the donor and beneficiaries, while making a huge impact in empowering the future work of the organizations they love. For the Greenway Trust, planned gifts ranging from bequests to charitable trusts will play a major part in fulfilling our mission for many generations to come. Our planned giving society is named for our visionary co-founder Ted Thomsen, who worked tirelessly to conserve the forests and trails of the Greenway for future generations. And for his wife, Gretchen, who took such great joy in giving to help connect others with the outdoors. To join the Thomsen Family Fellowship for the Future by setting up a planned gift to the Greenway Trust, please contact Mike Woodsum at michael.woodsum@mtsgreenway.org or 206.382.5565. You can designate the Mountains to Sound Greenway Trust (Federal Tax ID #91-1531234) as a beneficiary of your estate by directing your estate attorney to amend your will or living trust. Bequests can be made for a specific amount, for a percentage of your estate, or for any portion of what is left after you have made bequests to your family. Charitable trusts provide you or a beneficiary with income each year from assets placed in the trust. After the lifetime of you or your beneficiary, remaining assets in the trust go to the Mountains to Sound Greenway Trust. A charitable gift annuity can provide crucial funding to the Greenway Trust, while offering donors both immediate tax relief and a fixed income stream for the remainder of their lives. You can name the Greenway Trust as a beneficiary of any life insurance policy. Bequests to tax-exempt charities from IRA or 401k accounts are growing in popularity. These planned gifts reduce overall tax on estate assets by creating deductions in both estate tax and income tax. Donors can do their charitable giving from tax-heavy retirement accounts and leave less taxable assets to their families, keeping more of their money directed where they want it – to their loved ones and the causes they care about.